Spaying should be a priority for the owner of any female dog. Not only will this important procedure help prevent your pet from becoming unintentionally pregnant, it can also reduce the likelihood that she will suffer from certain health problems and undesirable behaviors that are caused by coming into heat. Spaying is considered to be a fairly major procedure and must be carried out while your pet is under the effects of a general anesthetic. This means that the initial recovery process that your dog goes through is just as much about dealing with the effects of the anesthetic, as it is healing from the wound that has been created in order to perform the procedure. Here is our guide to how to care for dogs after spaying surgery. During this time, it is also important that you monitor her closely to ensure that she doesn’t have any adverse reactions while coming down from the anesthetic. Keep her warm and comfortable, with easy access to water. You should also give her her meals at the usual time, but do not be alarmed if she doesn’t eat much or at all while the anesthetic wears off. Your dog might want to lick the wound that has been created on her abdomen. However, doing so could put her at increased risk of infection and inhibit the healing process. 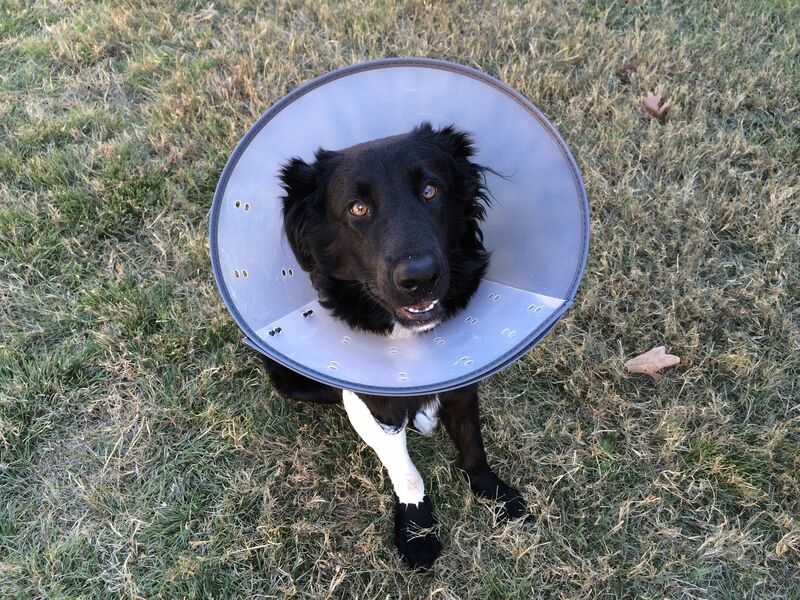 For this reason, your furbaby will most likely be fitted with a special collar before she leaves after her procedure, as this will prevent her from meddling with her wound while it heals. Your dog’s incision will most likely be closed with sutures. This means you cannot bathe her and should avoid taking her outside if the weather is wet. If she has had the wound closed with sutures or staples, they will normally be removed 10-14 days after her spaying surgery. In most cases, healing is fairly straightforward, and you should notice the appearance of the wound improving day on day. Most veterinarians advise that you shouldn’t let your dog off the leash for at least 10 to 14 days after surgery. You should also prevent her from running, jumping, climbing, or playing during this time, as it could cause her wound to reopen. Instead, try and keep her as inactive as possible. Most dogs will make a complete recovery within 14 days of their spaying surgery. If you have any concerns about the way she is healing, do not hesitate to call Care Animal Hospital to see if she might need her surgical site re-evaluated. Fleas are annoying for both you and your pets. Learn our recommendations for Flea and Seasonal Pet Pest Protection. Call our vets in Temecula with questions. Although cavities are rare, pet dental disease is very common. Call Care Animal Hospital at 951-370-1200 to schedule a wellness visit or dental exam. Is It Normal For My Pet To Have Eye Discharge? Eye discharge in pets is fairly common. Some eye symptoms might be a bigger concern. Learn more about types of eye discharge in pets and when to call a veterinarian. Ear mites are common in pets and can cause a great deal of discomfort. Learn our vet approved approach for treating ear mites in pets. There is a common misconception that dogs are carnivores and need a high protein diet. Learn the dangers of high protein dog foods here. Like humans, a pets' diet can improve or hinder their oral health. Learn the best pet diets for better oral health for your dog or cat. After spay surgery, dogs will need to rest, recovery, and have their wounds looked after. Learn more on how to care for dogs after spaying surgery. Want to save money on pet dental treats? Learn about these easy dental treats you can make for your pet this summer that will improve their dental health. Is microchipping safe for dogs? Many dog owners are concerned with the safety of microchipping. 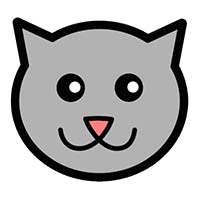 Learn about pet microchipping, how it works, and how it can help keep your pet safe. Flea infestations can be difficult to eradicate, especially in warmer months in Temecula. Learn these tips for ridding fleas from your home and your pet. What are common veterinary emergencies for pets? Keep your pet safe by staying prepared for emergencies by knowing the most common veterinary emergencies for pets and when to seek treatment. Learn more here. As self-cleaners, hairballs are a common issue in cats. Learn the symptoms of blocked hairballs, and tips for treating hairballs in cats. Choosing the right animal hospital for your pet can be a nerve-wracking process. Learn these tips on how to choose the best animal hospital for your needs. Constipation in dogs can often a sign of a bigger health problem. Learn how to tell if your dog is constipated, and how to treat constipation in dogs. An important part of being a pet owner is making sure your pet stays safe from internal and external parasites. Learn more about parasite prevention here. One way to keep your dog in good health is by feeding it dog food that is rich in antioxidants. Learn more about the importance of antioxidants in your dog's diet. Are you dealing with a sick pet? Learn what to do if your pet is vomiting, and how to keep your pet healthy at Care Animal Hospital in Temecula, CA. What Causes a Dog’s Stomach to Swell? A dogs stomach might swell from overeating, sickness, or more. Learn about what causes a dogs stomach to swell, & how to treat stomach swelling. Pet allergies are often caused by the same things that cause allergies in humans. Learn more about pet skin and allergy care here! Read more if your cat is sick or not and how to provide enough care for your loved pet. Give us a call and schedule an appointment today. Knowing how much and when you should feed your dog can be a hard routine to follow. Learn the healthiest eating habits for your dog. Is Spaying and Neutering Safe? Is Your Pet Not Eating Their Dry Food? Leave us a review on Google or Yelp and receive $10 off! 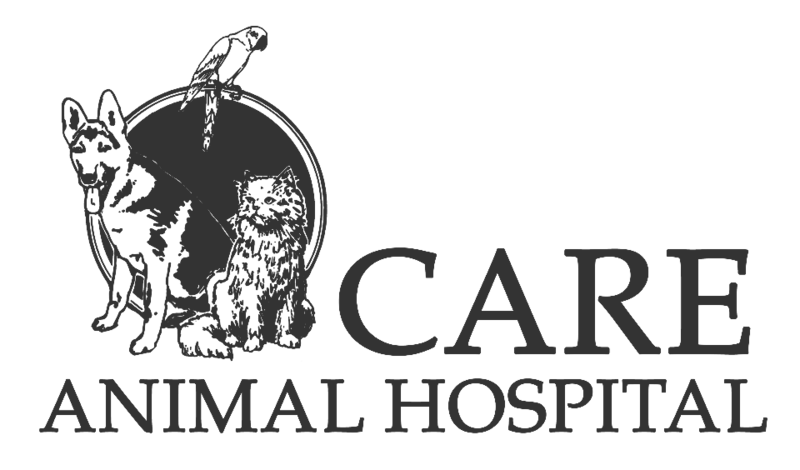 CARE Animal Hospital has proudly contributed $42,366 to the care of local injured wildlife in the Inland Valley since 1992. AAHA Accredited - We are proud to have accreditation from The American Animal Hospital Association (AAHA). Accreditation helps veterinary hospitals stay on the leading edge of veterinary medicine and provide the quality and range of services you and your pet deserve.